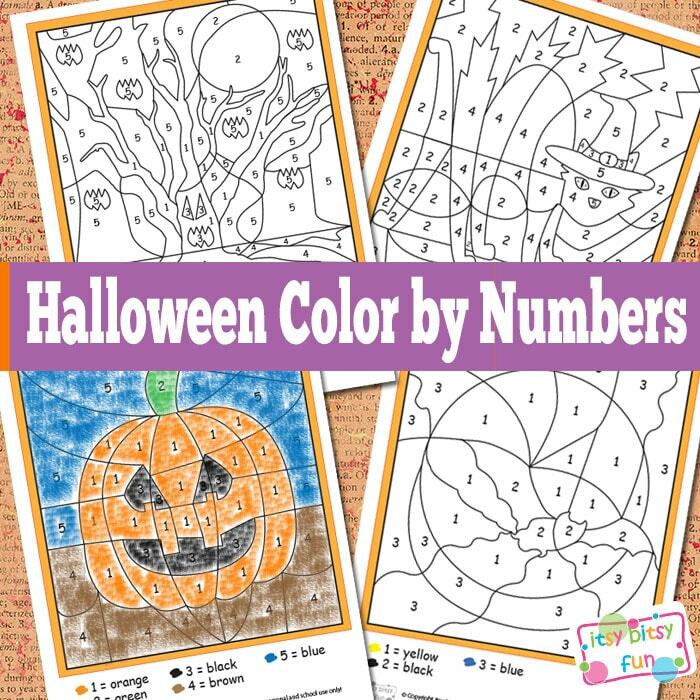 Spooky Halloween Color By Numbers Worksheets! 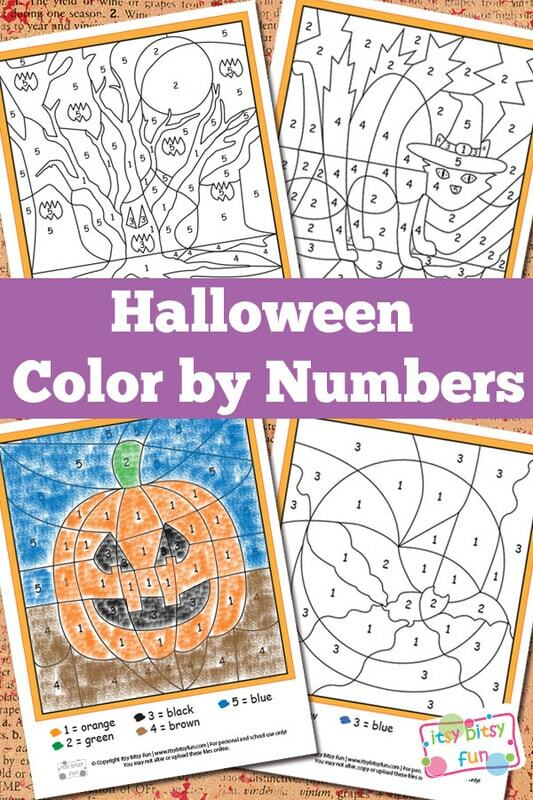 Let’s learn the numbers and have some creepy fun while at it with Halloween color by numbers! I’ve got plenty of other Halloween worksheets for kids just waiting for you to print them too! 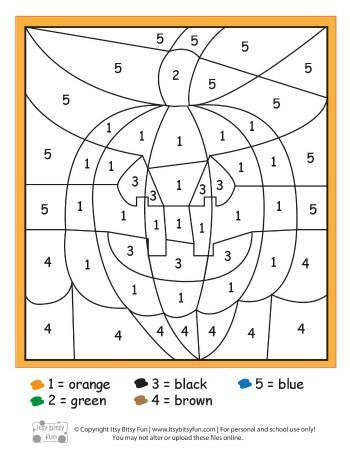 These kind of worksheets are great for number recognition as even if kids don’t know them yet they will match the shape of them and color them accordingly. Be honest now when do you start thinking about Halloween? For me it’s pretty much the day after 🙂 – as you probably guessed, yes I am a huge fan and I admit I could do printables for this Holiday whole year long (oh do check my bottle labels as they are freaky!). But let’s get back to “learning” shall we? This printable pack includes 4 fairly easy pages to color with numbers up to 6 (they are perfect for preschoolers and kindergarten kids if you ask me). 1 page with a Jack-o’-Lantern. 1 page with a bad and the moon. 1 page with a wicked cat. 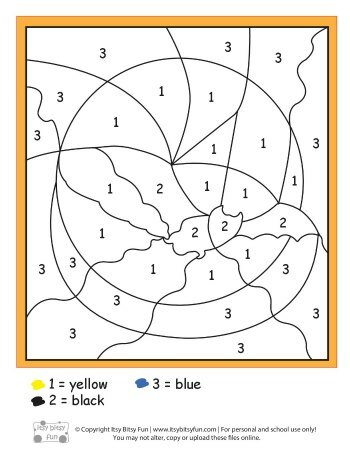 Print Your Color by Number Worksheets Here! 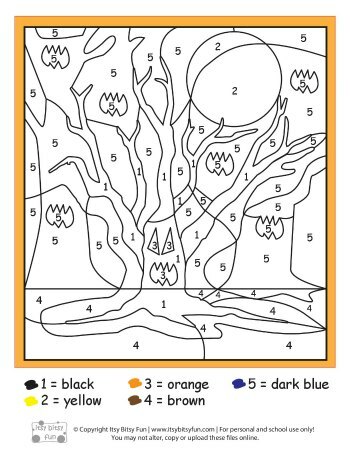 Get your own free printable Halloween Color By Numbers Worksheets here. Ready to kick things up a notch and practice some simple reading? Grab these free printable word search puzzles. 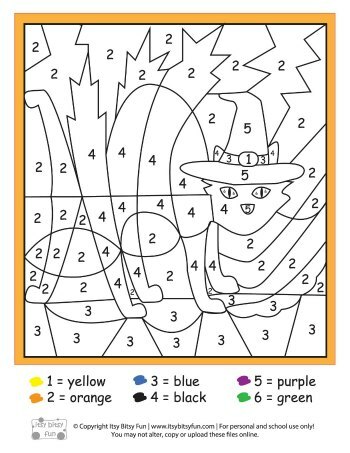 Also be sure to check out the fun (and free) Halloween coloring pages.